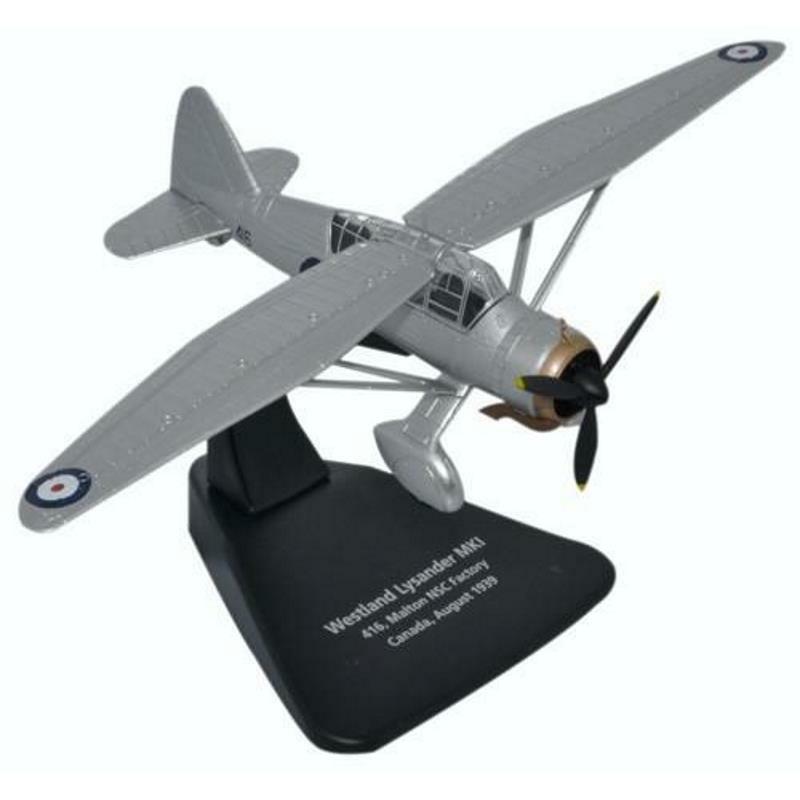 Oxford Diecast-Models:Oxford 25425 https://www.warplane.com/images/Products/25425.jpg In 1939 the first Canadian built Westland Lysander rolled off the production at the Malton Airport. It was built by Nation Steel Car Company. Description: In 1939 the first Canadian built Westland Lysander rolled off the production at the Malton Airport. It was built by Nation Steel Car Company. Additional Info: AC072 includes a display stand.